As I am sitting here writing this, I am wishing. yes wishing for summer weather to arrive here in Portland, OR because I am ready for it! 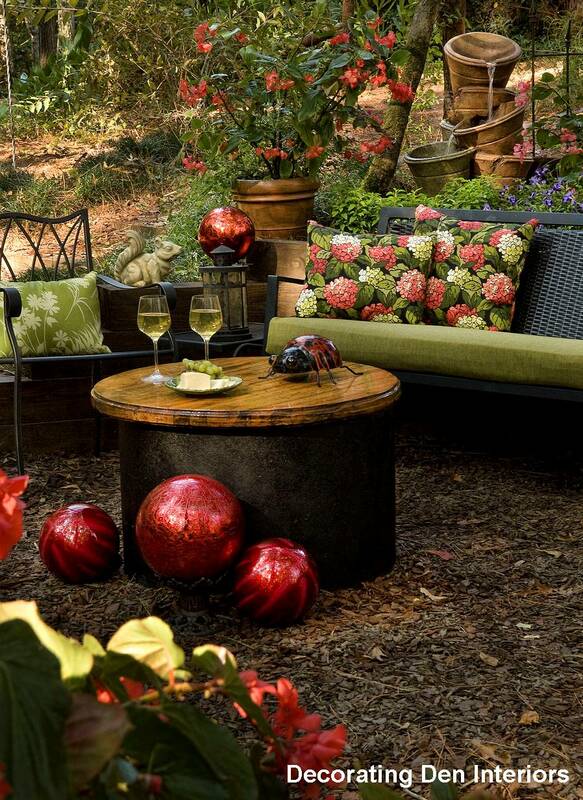 Once the nice weather arrives in the Northwest, we need to take full advantage of it, and creating comfortable and inviting outdoor living spaces is a great way to do it. You may be waiting until you feel you have a decent budget to work with, however you don’t need to. 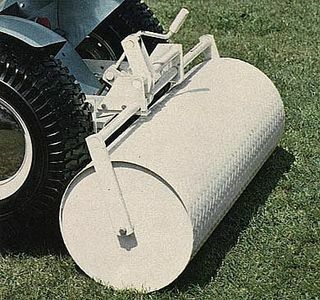 While there are some items that are worth investing in quality, there are many ways to save when creating outdoor spaces. 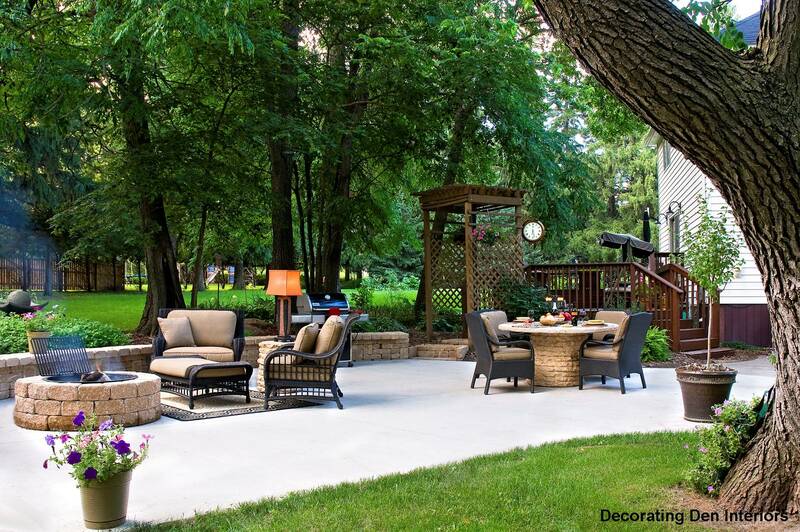 Above: In this gorgeous wooded setting, there is no need to invest in a patio or deck. 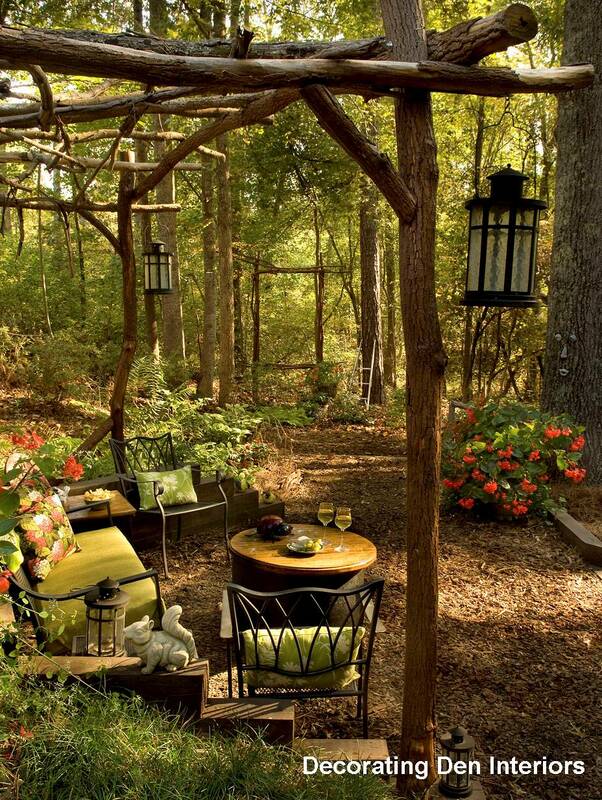 Additionally, the pergola can be a do-it-yourself project, utilizing materials from your own backyard (or a friend’s). Saving in these areas allowed these homeowners to invest in quality furniture that will stand up to the test of time and outdoor elements. 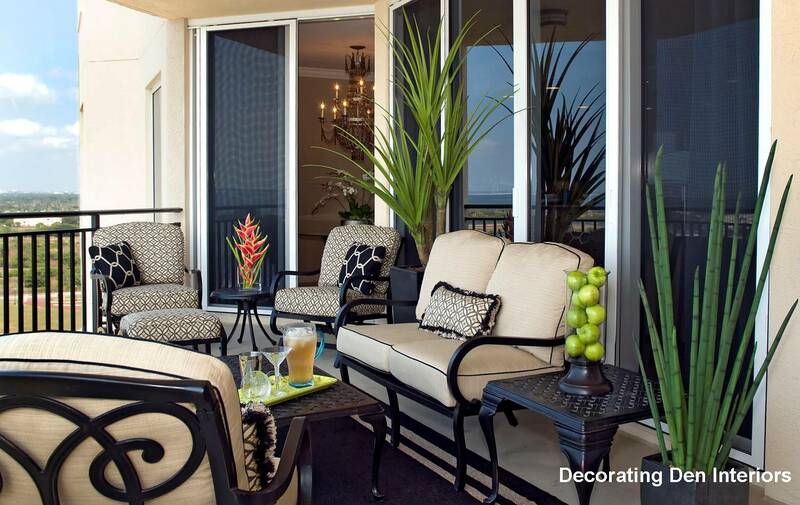 Accessorize your outdoor walls! Source: House Beautiful. Great outdoor wall accessories. 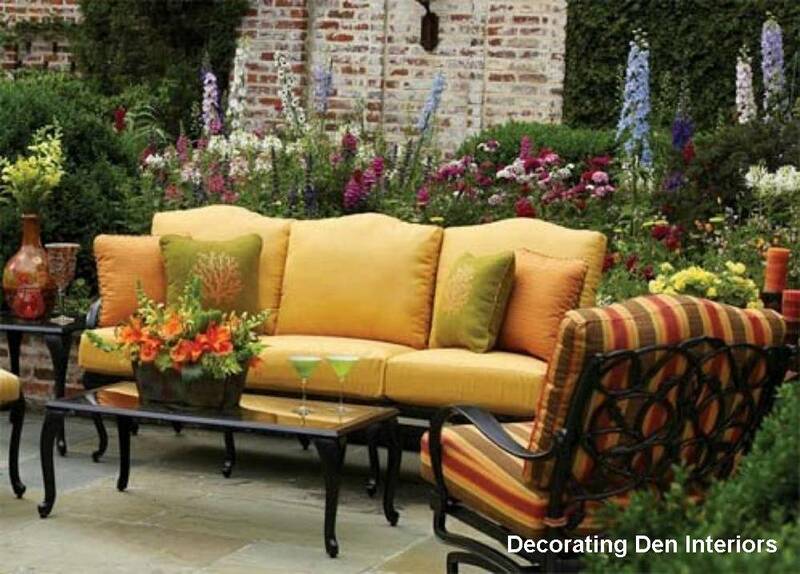 Source: HGTV-Designer-Linda Woodrum. 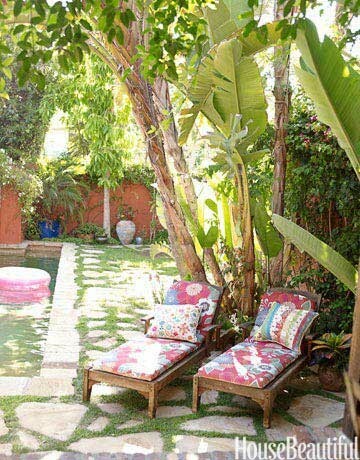 Great idea… An outdoor accent wall! 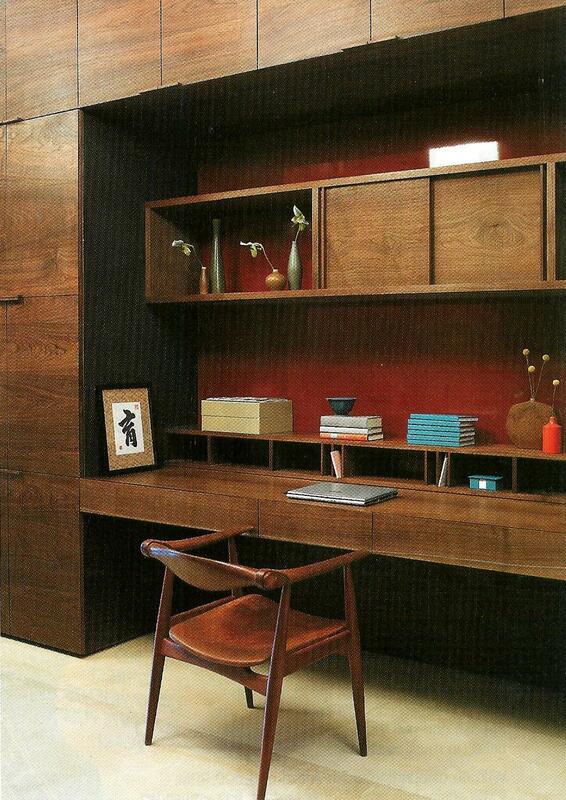 Source: Architectural Digest, Johnathon Adler. 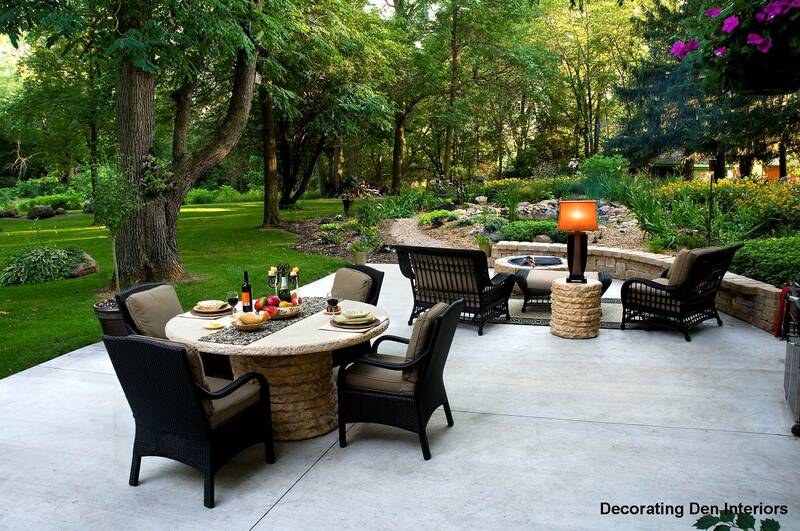 For more creative ideas and photos of outdoor rooms, click here. 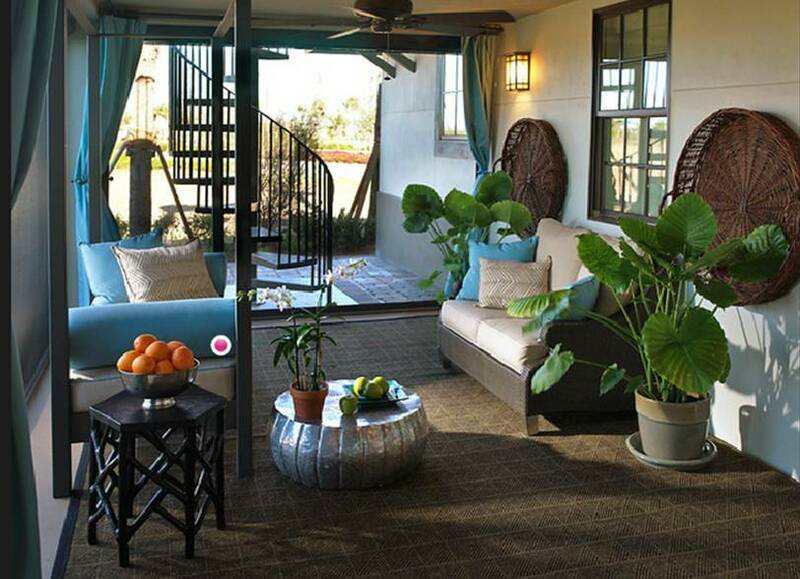 Click here to view Ideas for Creating an Outdoor Oasis in Your Backyard with shade structures and cabanas. 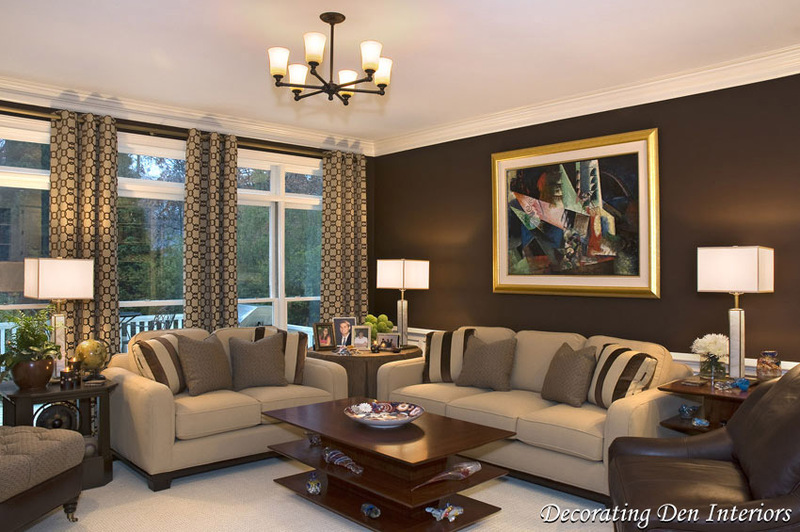 Also, please feel free to “like” my Facebook page for quick tidbits on decorating ideas. I love the idea of using the wall space> gotta start thinking of what would make ‘good art’. Yes, it’s so easy to overlook that area! The first few photos are my opinion of paradise, especially the second one. I can’t wait to one day have that kind of space of my own. Hang in there… It will happen!